Summer is winding down for college students across the country. Many are returning for their 2nd, 3rd, and 4th years of life away from home, but for college freshmen 9and their parents) this is an entirely new experience. Undoubtedly, millions of parents of incoming college freshmen are scouring the aisles of their local Target store buying everything on their son or daughter’s dorm room list, and probably some extra stuff too. As move-in day approaches, parents everywhere are going to start thinking about what to send to their new college student. I didn’t go to college, but I got my first out-of-state radio gig around the same time in my life. I was 18 years old and about 500 miles from home. My mom would send me these enormous boxes every week or two. Blank cassette tapes (for airchecking, yes I’m old), clippings from the local paper, Twinkies (even though there were plenty on the shelves at the local grocery store), clothes and whatever my mom could find. The same goes for most college freshmen these days. We featured Brandery startup Co-Ed Supply in our Startups in the Fastlane series yesterday, an interview with a startup going through an accelerator. We learned a lot about what two Philadelphia natives had cooked up with Co-Ed Supply. Basically it’s a college student care package wrapped up in a monthly subscription package. Co-Ed supply takes all the work out of putting together care packages. Now instead of silly trinkets, Co-Ed supply makes sure you get college essentials. “The contents of each box is a surprise but all contain healthy snacks, personal care items, and entertainment. For students and their parents, basically we’re offering a cheaper, healthier, and more entertaining alternative to traditional care package options,” Forston told us in an interview. 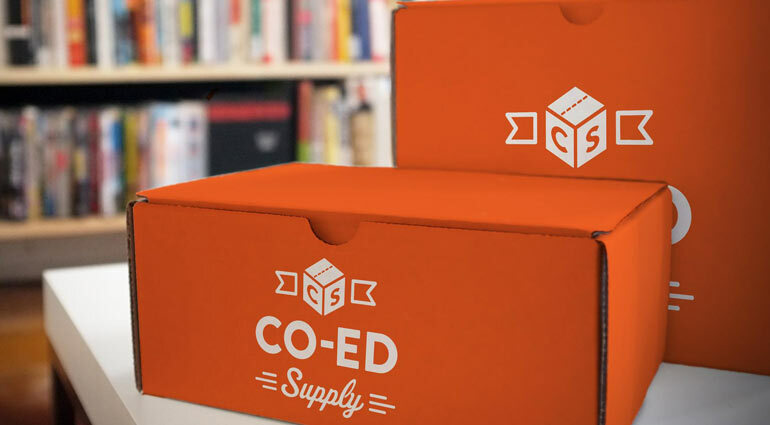 Co-Ed Supply launched this morning, just as most college students are thinking about heading back to school. The cost of the subscription is just $20 per month and right now if you help five friends sign up, you’ll get a month free. Check out Co-Ed Supply here.